Bailey Harris was only eight when she was inspired by Neil deGrasse Tyson (who was hosting COSMOS at the time) to learn more about astronomy. It resulted in her writing a book (with her dad’s help) called My Name Is Stardust, about how all living things are made up of the same basic ingredients. The second book in the series, Stardust Explores the Solar System, starts off with the Big Bang, explains the formation of our Sun and the planets, then takes young readers on an exciting ride through the Solar System. It’s a neat project, and the illustrations, just as before, are gorgeous. 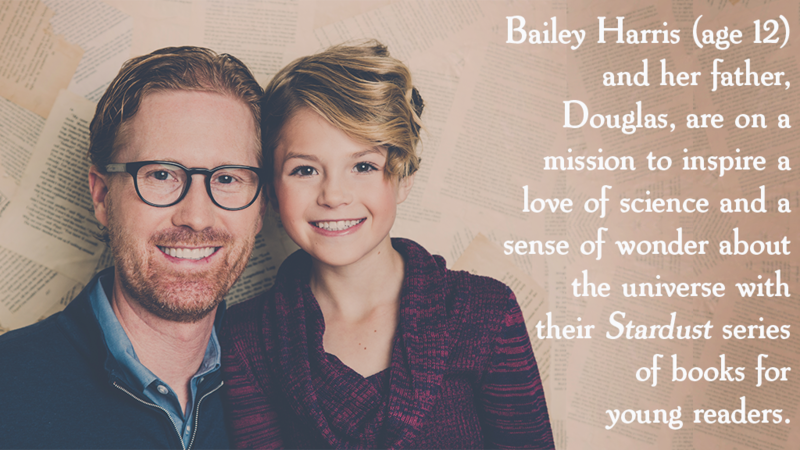 If you like the concept, be sure to support Bailey’s book!